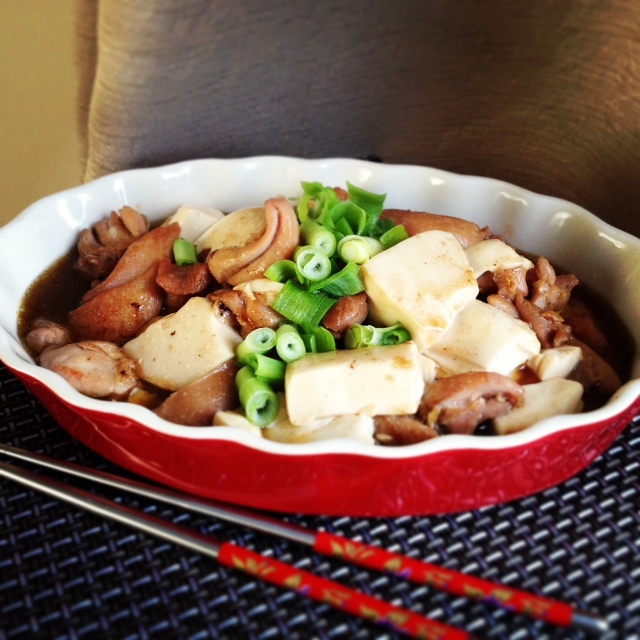 Soya tofu is known to be nutritious with health benefits. Tofu may be bland and plain for some but if you use the right ingredients to create a marriage of flavours it will be spectacular. 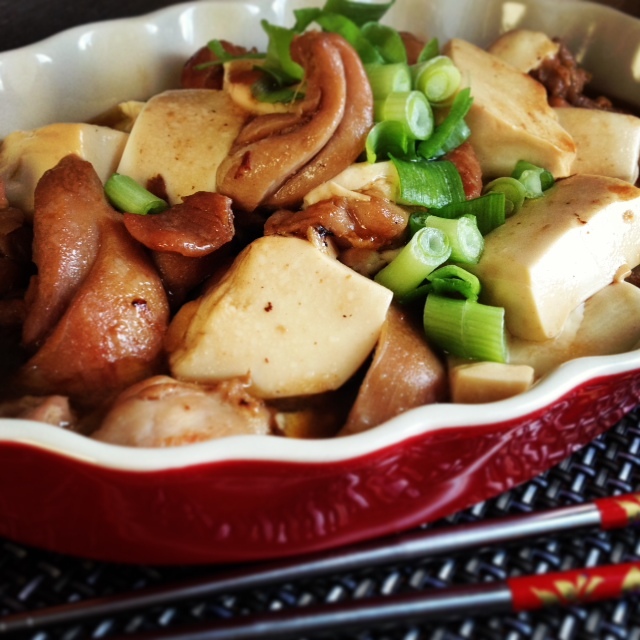 This is a popular dish among the Chinese households. Every family has their own interpretation, whether it is adding pork, beef, shrimps or vegetables creating a versatile dish for everyday consumption. My home-style version is really simple. It is light on the palette and goes well with steamed rice. • Combine sauce ingredients into a bowl, mix well and set aside. Rinse tofu in cold water, drain, cut into bite size cubes, set aside. • Wash thighs, remove skin, bones and discard, cut the meat into thick strips and set aside. • Use a mortar and pestle, pound the garlic into a paste. • Heat a clay pot or a non-stick pot on medium/high heat, add oil, once heated, add garlic paste and stir fry for 10 seconds. • Add chicken strips, stir fry for 2 minutes. Add in the sauce, reduce the heat to a low setting and boil for 2 minutes with the lid on. • Mix corn flour with water, add into the pot along with tofu cube. Cook on a medium heat for 5 minutes. Sprinkle on chopped onions. Serve.